Each year in honor of Earth Day recognized worldwide on April 22, the Pacific Beach Coalition mobilizes thousands of volunteers. We host this citywide day of action and education highlighting our coastal environment in partnership with the City of Pacifica. Are you ready for Earth Day of Action 2019? Sign up (on the right hand side) to receive our eNews or peruse our website again to get all the details about location, group and volunteer registrations. Mark your calendars and start enlisting your team… the Earth needs our help! Where will cleanups take place? At organized cleanup sites throughout Pacifica, and from Mussel Rock to Half Moon Bay (including Montara & Tunitas Creek). Sites include our monthly beach cleanup sites as well as streets, creeks, bluffs, parks, shopping centers, and any needy spots in Pacifica and along the coastline that we can find volunteers to cover. Earth Day is Action! 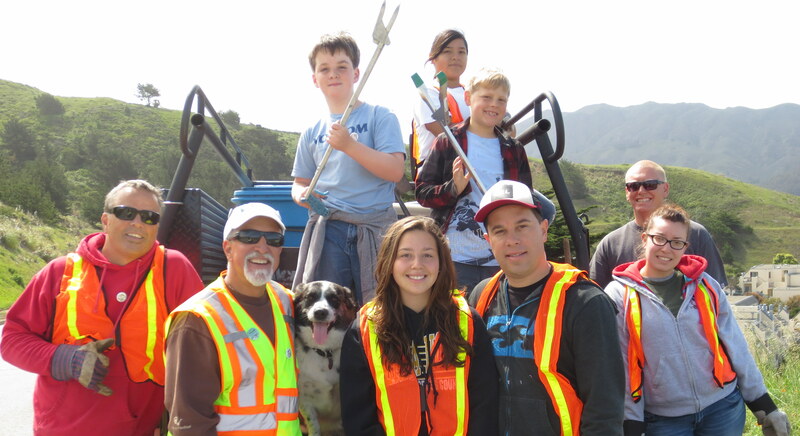 The annual ‘citywide day of action’ is part of our field education programs, and has grown to become popular, family-friendly, and only one of a few in the Bay Area dedicated to inspiring, uniting, educating and building community to remove litter and restore native landscape along the San Mateo County coast. Thousands of volunteers of all ages gear up with gloves and buckets to join the hands-on action at organized sites from Daly City to Tunitas Creek, on beaches and along highways and streets from Highway 35 to the coastline. Earth Day is Education! 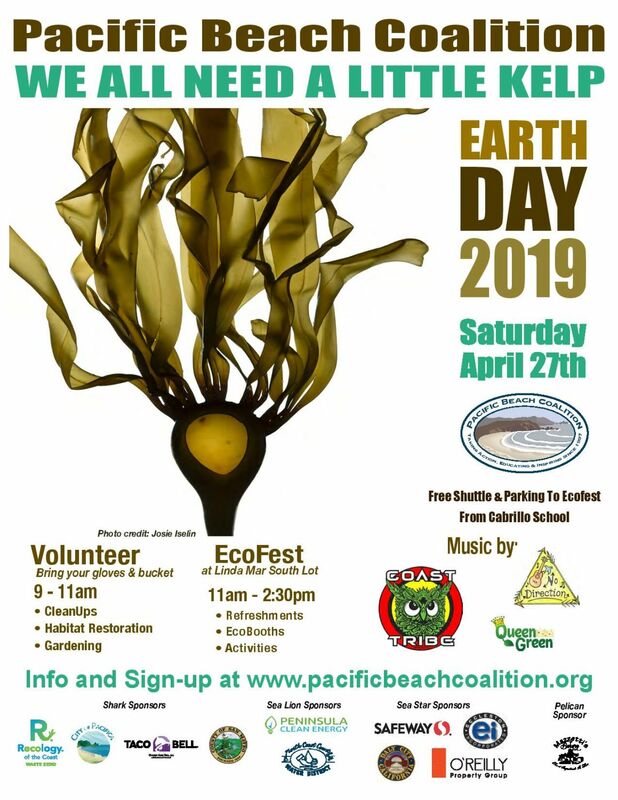 Earth Day of Action also brings environmental education to school assemblies, and to the public at Linda Mar Beach during EcoFest as part of our school and public education programs. Each year, we promote an educational theme focused on wildlife protection to promote, inspire and learn about important ways to protect our ecosystem. Everyday is Earth Day! 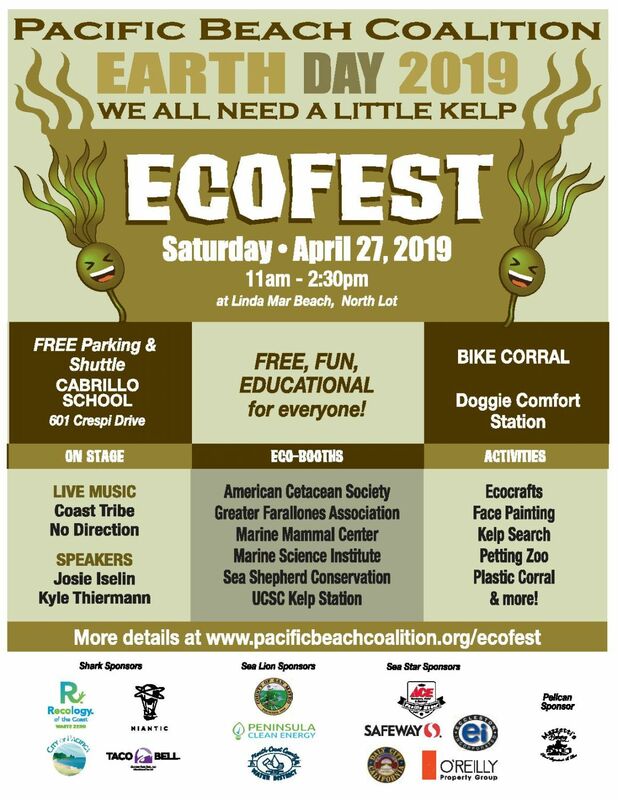 Our passion to create sustainable stewardship around protecting and preserving our ocean, beaches, and coastline’s natural beauty is why we organize Earth Day of Action & EcoFest. Our goal is to inspire, educate, engage and sustain a community of Earth Heroes so they continue to be stewards of the environment not only during Earth Day, but everyday through daily actions. You can contribute to our Earth Heroes and the difference they make during Earth Day of Action by making a tax deductible contribution or in-kind donation at any time of the year. In honor of native and coastal bees – donate to the Native Habitat Restoration and Plant Fund. Help keep our beaches clean by preventing cigarette litter pollution. Make a contribution to the Tobacco Litter Reduction Education Initiative.